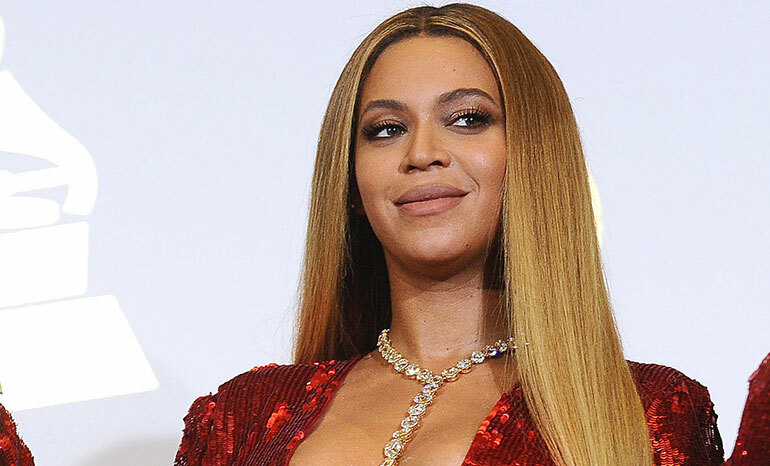 Ms. Beyoncé Knowles is of course a super-popular musician (and occasional actress) known for creating a variety of good songs both alone and with her husband and occasional collaborator Jay-Z since going solo from the group, "Destiny's Child." One thing she will do is suddenly, "Drop," an album without warning, having it go live on Tidal, Spotify, Pandora, or whatever else streaming service people enjoy. She and Jay-Z in fact just did this again less than a month ago. Whenever this occurs it will be a sudden surprise and always garners immense buzz. It is an example of doing something in a manner that is a shock to folk and having absurd levels of success at it. The year was 1995. It was a simpler time when eBay was a brand-new website on the novelty that was, "The Internet," Michael Jordan came out of retirement for the first time, and, "Toy Story," showed that computer animation in films instead of hand-drawing everything was feasible. It also was arguably the year that started Sega's downfall. The Sega Saturn had been announced by Sega as the 32-bit answer to Sony's upcoming and highly-buzzed-about Playstaion. It was going to release in the United States on September 2nd of that year and folk were excited. 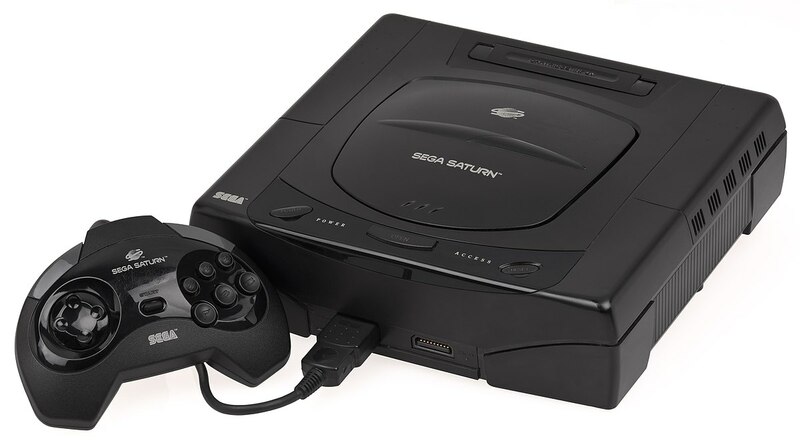 Then at E3 (the big video-games electronic expo) in May, Sega announced the console would be available in stores early, like as of that moment in May of 1995. It was mayhem. Some units had been shipped to stores in anticipation of this, but there were shortages, not many games for it yet, and it was an example of when your surprise utterly backfires. Sega never recovered even with the release in 1999 of the greatest console ever (in my opinion), the Dreamcast. They eventually quit making consoles and now still exist but create their titles for a variety of formats. As my list illustrates, certain people and companies have great success with surprise releases and others have it result in their eventual bankruptcy. Music and the way we can steam it results in some artists taking advantage of the, "Suddenness," of the format to drop an album without warning and let all the buzz and hype form upon its own. 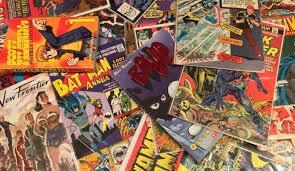 Comic-books are more of a format that needs a lot of lead-time to get that consumer interest. 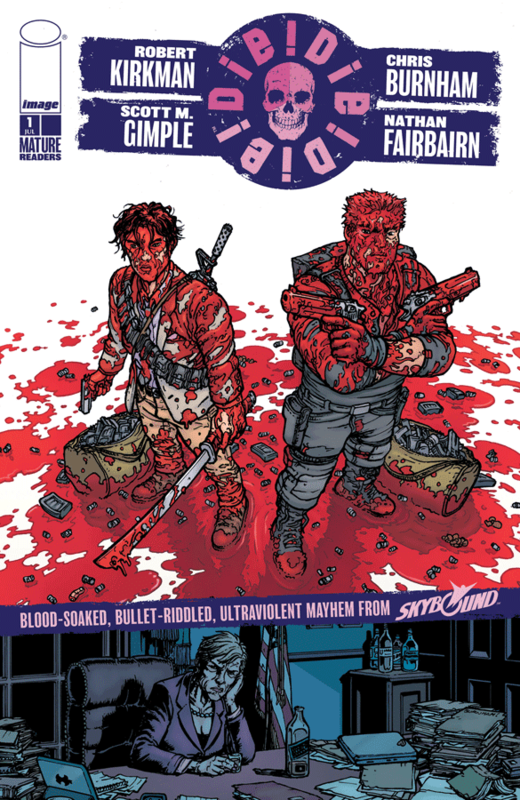 Robert Kirkman had an idea though, to take a comic he had announced as coming-out in the future titled, "Die, Die, Die," and one day have it suddenly just turn-up in stores without warning. Stores didn't even know it was coming, they would just get the comic at a level that matched how many copies they had ordered of another recent Kirkman comic, "Oblivion Song." The comics would just show-up as a total surprise, on invoices as a, "Thank-you," of sorts from Image Comics and Kirkman's sub-company within Image, Skybound. 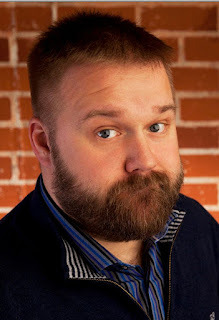 Kirkman said he did this because he wanted to be like Beyoncé, and I'm wondering if this is the kind of move that will turn-out with the success she sees for a surprise release, or if this will be akin to the Sega Saturn. The comic, "Die, Die, Die," came to stores without warning, and had about 10 different variant covers with the characters stating different jokes in their speech bubbles (but with the same artwork otherwise). From what I read online some stores sold it as a normal comic, others gave it for free to anyone who had, "Oblivion Song," on their pull-list figuring those customers were the reason they got the comics, and would probably like it. Lots of stores did different things and this sudden crazy release got a bunch of buzz, but has threatened to overshadow the actual comic itself, it feels like. The comic itself is decent, a hyper-violent read full of dark comedy about a secret U.S. organization that is supposed to kill bad people, a twist here-and-there about extra relatives in the organization, and some thankfully stellar art from Chris Burnham to make-up for the fine-if-uninspiring plot. At this point in his life however basically any comic Kirkman makes is more of a storyboard for the eventual attempt at a television or film adaptation so maybe once we start seeing teasers for the pilot/movie it will be a bit more cohesive. Again though, at least Burnham is a spectacular artist. I will give Robert Kirkman credit where credit is due, basically no one saw this coming and people didn't know the book would be out until comic-book retailers started opening their deliveries on Tuesday and were greeted with an unexpected addition to their invoices and shipping-boxes. 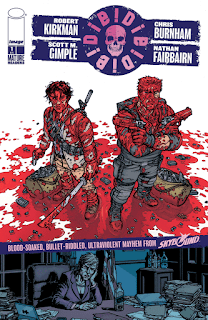 What Kirkman did may turn out to have been brilliant if the comic becomes a huge hit, or in retrospect come-off as foolhardy if the book ends-up bombing. Again though, at this point it is more about getting an adaptation made of whatever comic he created, so if that occurs and has a modicum of success Kirkman will be able to laugh even harder all the way to bank--I say, "Ever harder," as he's already laughing at the bank daily cashing those, "Walking Dead," checks I would imagine. Honestly though, besides CBR (remember them?) trying their hardest to fall all over themselves and fawn about how clever Kirkman is I haven't really read much else of note about the book besides some articles complimenting Kirkman on keeping this secret and a few reviews that essentially say what I did (the story is okay, the art is great). Time will tell how ingenious or insane Kirkman was for doing this.